When you first sign-up with saleslifecycle.comyour first team member is free. As your team grows it is simple to add new team members. From the top menu, follow the link to the admin page. We provide a quick summary of subscription credits here. 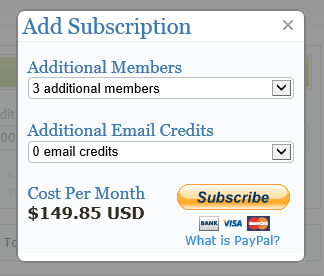 To add a new subscription, click on the ‘Add Credits’ button as show in the above screen shot. Once you have selected the appropriate number of members you wish to add click on the subscribe button in the bottom corner. 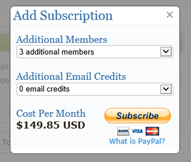 * The subscription fee for additional members is a flat rate of $49.95 USD per month. ** If you need to add more email credits – this would be a good time to add some! 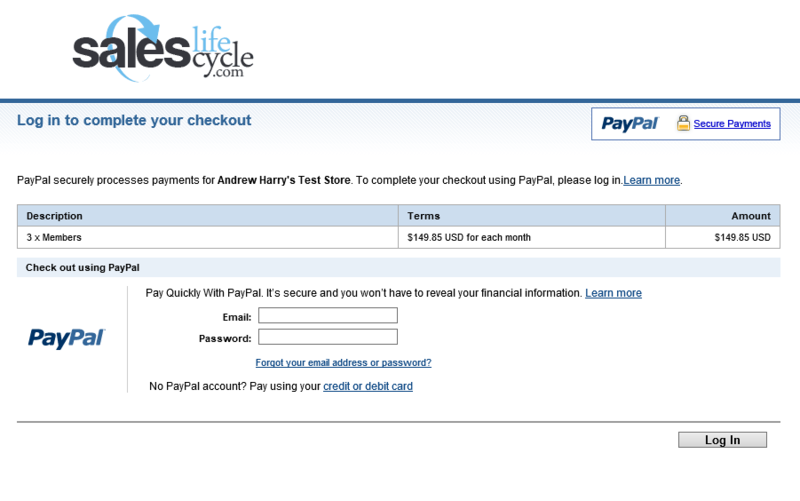 Currently we are using www.paypal.com for convenient subscriptions. Paypal lets you choose from multiple payment options, including credit cards and bank transfers. Step 1. Login to your paypal account, or create a new one. Step 2. Verify that the subscription looks correct, and click on the ‘Agree and Pay’ button. Step 3. 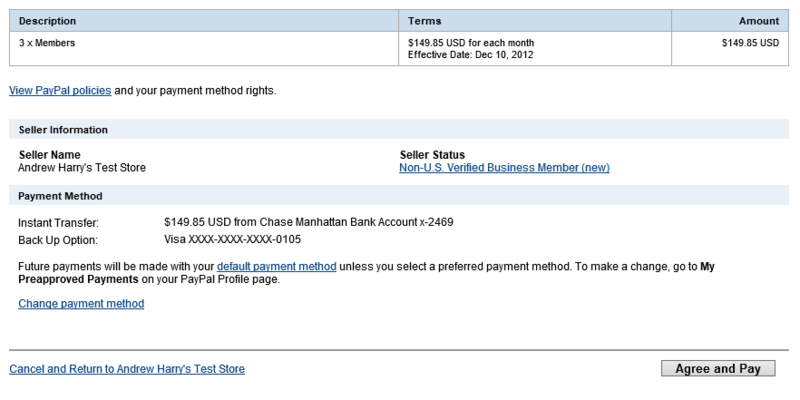 If all is well, then paypal will present a ‘purchase successful’ page. 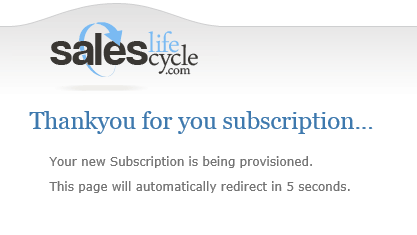 Click on the right button to return to your saleslifecycle account.